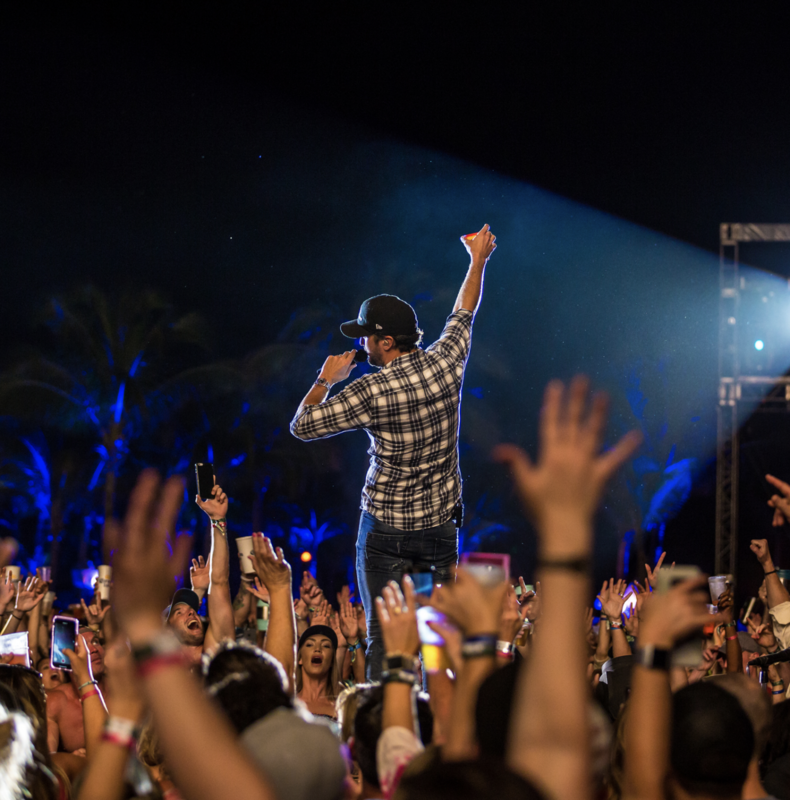 After four consecutive sold-out years, Platinum selling Superstar and American Idol judge Luke Bryan, along with CID Presents, announces Crash My Playa - 5thYear Fiesta destination event taking place January 23-26, 2019 in Riviera Maya, Mexico. The Caribbean beach vacation will be the biggest event yet and will feature Luke headlining two of the four nightly concerts with one of those deemed as “Luke & Friends Set.” Additional performers to be announced soon. Citi® is the official presale credit card of the Crash My Playa - 5th Year Fiesta. As such, Citi® cardmembers will have access to purchase all-inclusive packages during the Citi presale Monday, May 21 at 1PM ET – Wednesday, May 23 at 1PM ET. For complete presale details visit www.citiprivatepass.com. Fans can stay at the event’s host resort, the Barceló Maya, or opt for one of several carefully selected tropical resorts and enjoy royal treatment all weekend long – all-inclusive food and drink, 24-hour concierge service, daily onsite activities, offsite adventures like visiting Chichen Itza, zip-lining, and ATV tours, excursions including day trips to Tulum, official Crash My Playa – 5th Year Fiesta merchandise packages, and more. To see highlights from last year’s event go HERE.